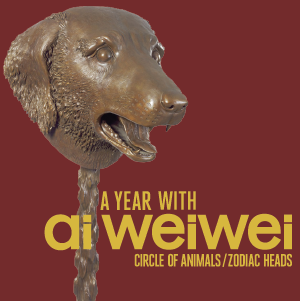 Inspired by Ai Weiwei’s monumental bronze sculpture series “Circle of Animals/Zodiac Heads” on display at Sea Lions Fountain in Civic Center Park through October 2018, Rian Kerrane, professor of Transmedia Sculpture at University of Colorado Denver, and her students will demonstrate a bronze pour into ceramic shell mold. This demonstration will take place in the McNichols Civic Center Building’s courtyard from 4-6 p.m., highlighting the dynamic visuals of molten metal at dusk. Denver Arts & Venues invites you to this demonstration, held in conjunction with the Ai Weiwei companion exhibition featured at McNichols Civic Center Building (Ai Weiwei: Art & Social Change). The demonstration will serve to educate people about the complex process of metal casting.